Company - Farmaceutica REMEDIA S.A. Listed on the Bucharest Stock Exchange since 1996 – STANDARD category, symbol RMAH, Farmaceutica REMEDIA S.A. is a company specialized in integrated sales, marketing and promotion activities in the healthcare sector. On the market since 1991, Farmaceutica REMEDIA S.A. strengthened its position through the merge with the major shareholder, V. TARUS RoAgencies SRL in 2006. Farmaceutica REMEDIA S.A. operates 92 own pharmacies, representing approximatively 25% of company business, is focused on diversifying the pharmaceutical portfolio, food supplements, dermato-cosmetics and services for the patient benefit. 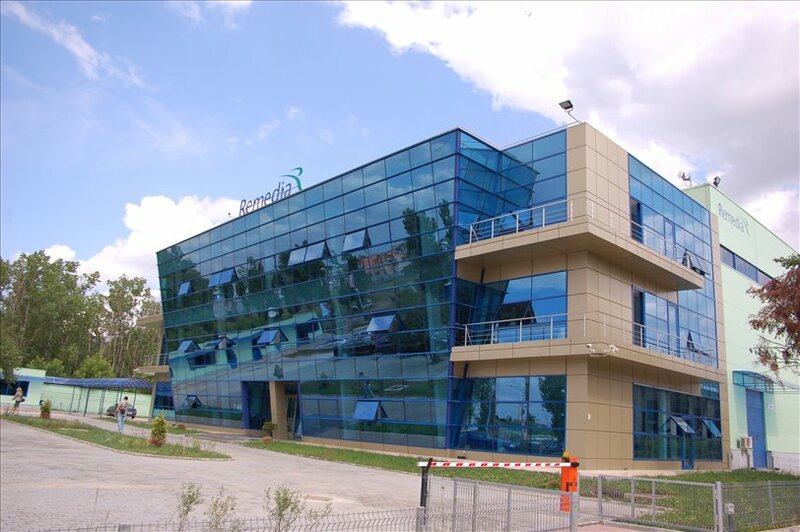 REMEDIA chain of pharmacies is present in 14 counties especially in Hunedoara and Alba plus Bucharest, where the company strengthen its position through 20 units owned currently. Additionally, the company approached directly their clients through the e-shop platform since 2012. Following to legal regulations regarding the separation of wholesale pharmaceutical activities from the retail ones, Farmaceutica REMEDIA S.A. decided to keep the retail activities and to transfer during 2015 the wholesale activities together with the accompanying logistics and other ancillary services to Farmaceutica REMEDIA Distribution & Logistics SRL – its 100% owned legal entity. The business model defined by a constant preoccupation for the diversification of the services provided, including logistic services, marketing and promotion, regulatory affairs, but also professionalism and performance makes the difference vs its competitors, placing the company as a reliable partner for the launch, promotion and distribution of pharmaceutical products in Romania and other Eastern European countries. The success of this approach is confirmed by the rise proved by the companies group over the recent years, expansion of REMEDIA Pharmacies chain, as well as the more and more diverse range of products and services. The consideration towards shareholders, investors, clients and employees are the principles substantiating Farmaceutica REMEDIA S.A.’s development. The constant adapting to our highest standards customers’ needs, to launch and promote innovative pharmaceuticals and observe the international ethical and professional standards are the objectives set up by the group of the companies. Over 600 employees are a highly valuable asset and this is why we are constantly looking at implementing motivational programs for personal and professional development, offering our staff the opportunity to reach maximum potential both at individual and team level. In the same time, we remain focused on creating “win-win” sustainable advantages, matching our partners’ expectations and exigencies. Farmaceutica REMEDIA S.A. and REMEDIA Pharmacies are registered trade mark with the Romanian Trade Mark Office under the no. 130846 and 130847 starting with 28.11.2013. Also the group of the companies is certified ISO 9001-2008 and 27001-2013.